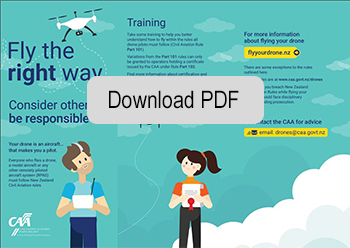 In 2018 the CAA launched a new information site targeting recreational drone users and visitors to New Zealand as part of their education and awareness campaign for drone pilots. The New Zealand rules changed on 1 August 2015 so please ensure you are up-to-date! 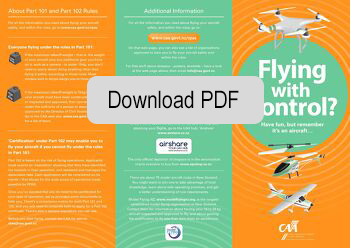 Check out the CAA's leaflet on the rule changes which introduces the new Part 102 Operator Certificate.